No limit per person. Valid toward men's merchandise. Promotional value expires 30 days after purchase. Dad's wardrobe too often consists of ripped T-shirts, team jerseys and wrinkled button-downs. 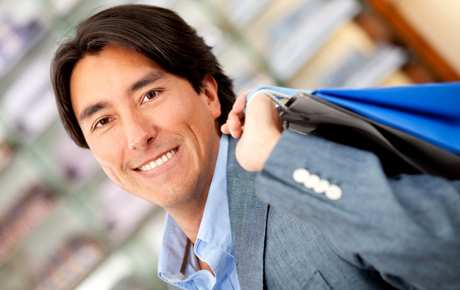 Spruce up Dad's look with this deal for 50% off men's merchandise from Classy Closet in Evanston ($40 value). Classy Closet has been in business for nine years offering men and women affordable business and casual attire. They have two floors filled with high-quality items, including a wide selection of brand-name and designer items. They carry a wide range of suits and blazers from Brooks Brothers, Ralph Lauren and other top designers to add to your dad's sharp look. With a variety of stylish men's attire, this quaint consignment shop will fill your dad's closet without emptying his pockets.